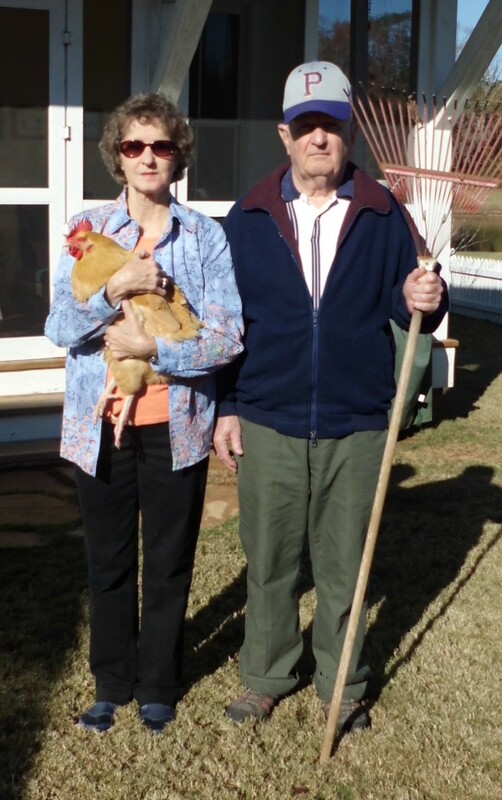 I am most thankful to have my parents here for Thanksgiving Day. You’ve met them before: (Farmer Bill, Oct. 10th & Chickmommy’s MOMMY!, Aug. 12th). My dad has never met the girls although he’s seen pictures. 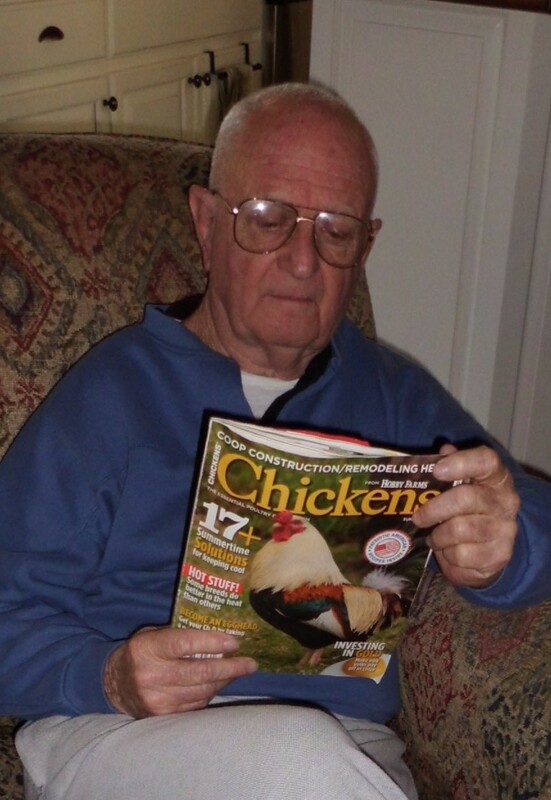 Dad enjoying some excellent reading material. Daddy has about 20 Rhode Island Reds, but he lives in a rural environment and doesn’t actually do urban chicken farming. He has a barn and lots of land so his operation is more traditional. I was excited to see his reaction to my little “City Chicks” and their fancy little chicken condo. He thought my chicken operation was pretty cool and he thought the girls looked healthy and beautiful. 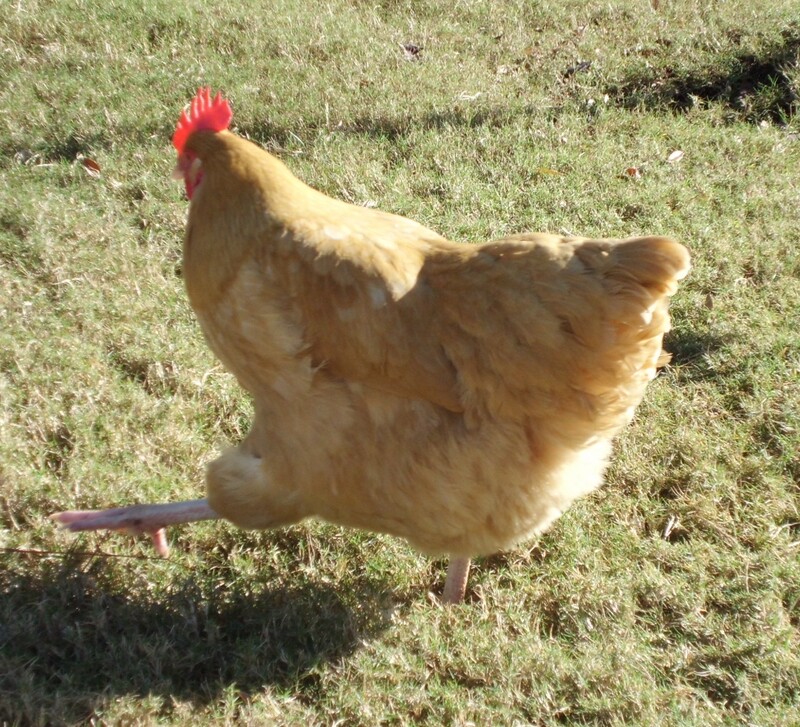 Daisy practices her strut for the Macy's parade! Today, I am thankful for my family, feathered and non-feathered. 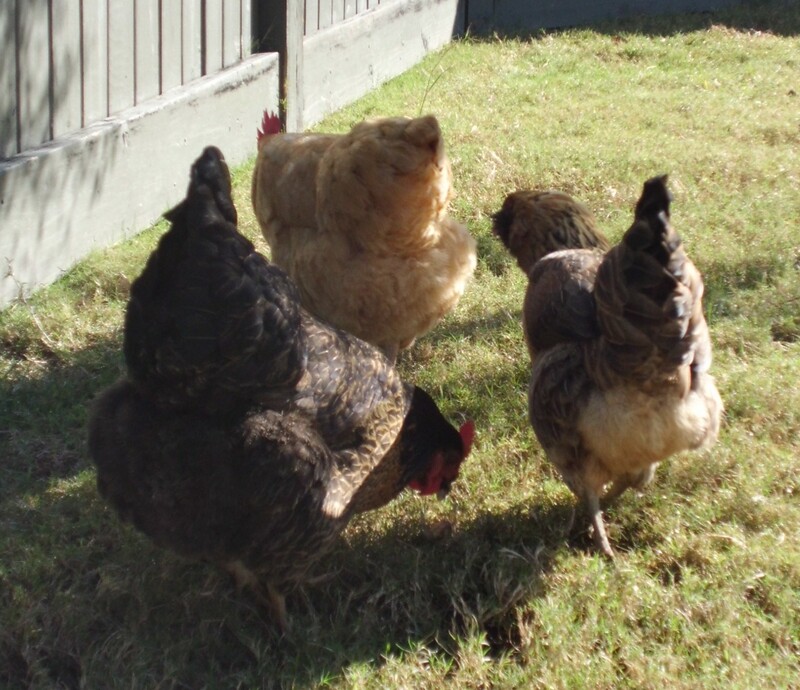 The girls are thankful that turkey is on the menu. No need to run ladies! Happy Thanksgiving to all from the Chickendiary family.